Admittedly though I was DELIGHTED it also has below photo of HIROSHI SENSEI and ME, probably in 2010 or 11 I’d guess. 1.) Yabiku Mōden, 2.) Funakoshi Gichin, 3.) Mabuni Kenwa, 4.) Taira Shinken, 5.) Akamine Eisuke, 6.) Higa Seiichirō, 7.) Higa Raisuke, 8.) Akamine Yōhei, 9.) Higa Jinsaburō. 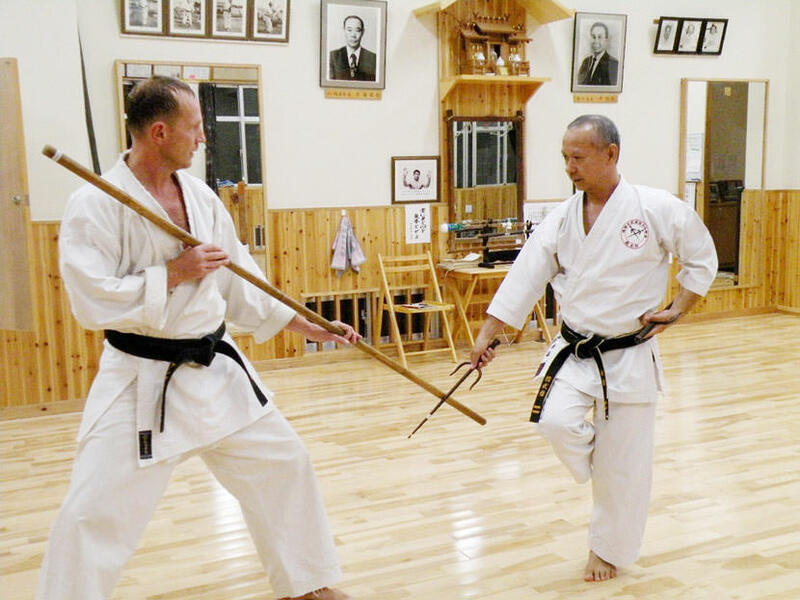 This entry was posted in Misc and tagged Ryukyu Kobudo. Bookmark the permalink.